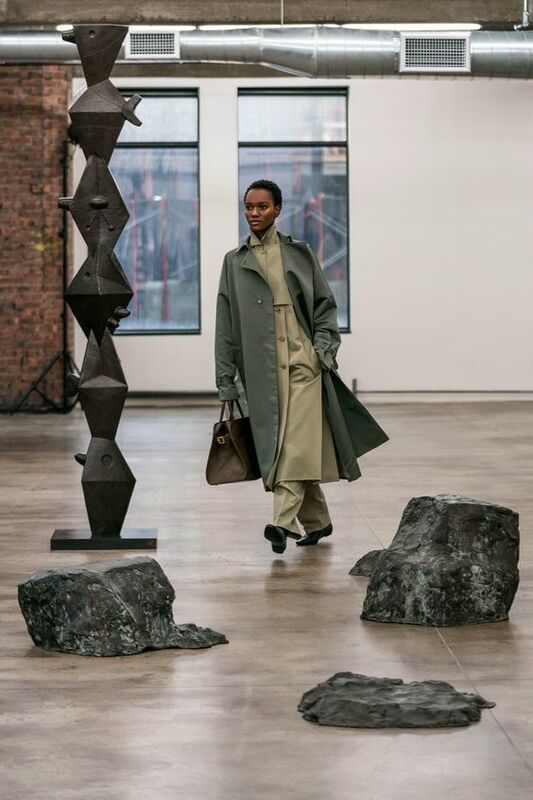 Yesterday, The Row debuted their fall 2018 collection in their downtown West Village showroom, where models danced around metal sculptures by the late Isamu Noguchi and curated by Dakin Hart. Booklets were passed out at the show, along with healing crystals (clear quartz for "universal harmony" and black tourmaline for "protection"). Hart writes in an introductory essay, "The Row's principles' scorn for the balkanization of creativity into narrow silos mirrors Noguchi's own," and "[The Row's] passion for Noguchi, which stems from their indivisible interests in art and design, have put them in the vanguard of a virtual tidal wave of interest in him in the fashion world." 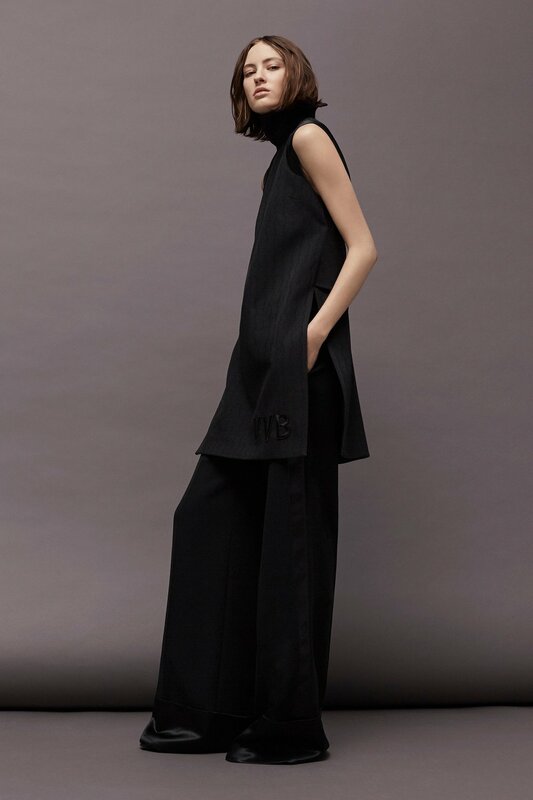 This collection, no doubt, is what my wardrobe dreams are made of. 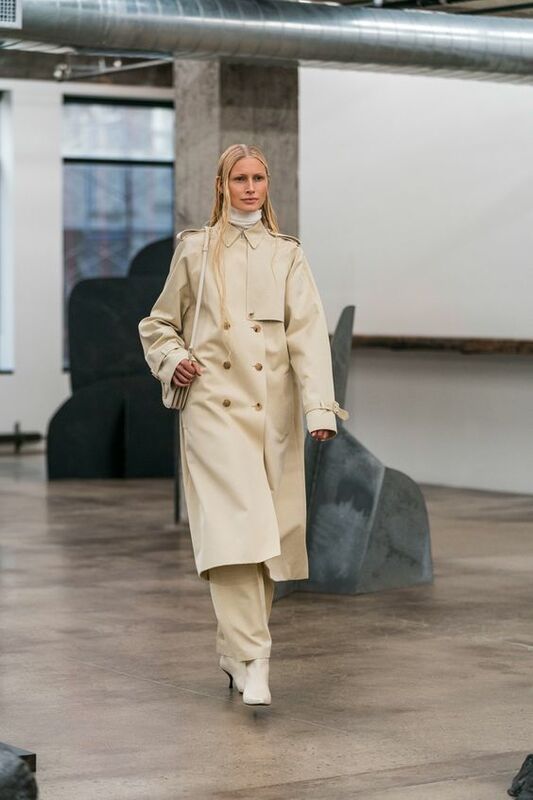 The Olsens explained that the collection's focus was all about uniform dressing and 'day clothes,' (with a smart mix of evening wear) complete with signature bathrobe coats, wide-leg trousers and trenches, and plenty of sweaters and knits. 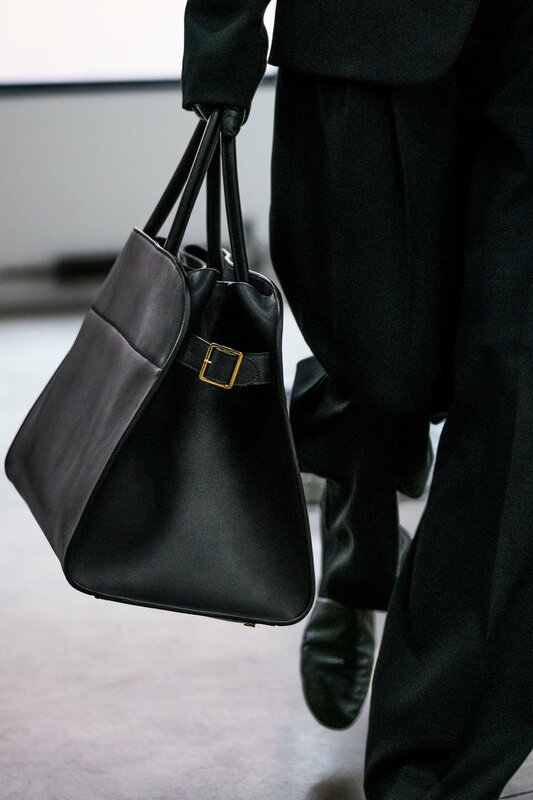 They thoughtfully kept accessories clean and concise with pointed-toe stiletto boots and 'hotel-slipper' loafers and clasped leather shoulder bags meant to hug the body. 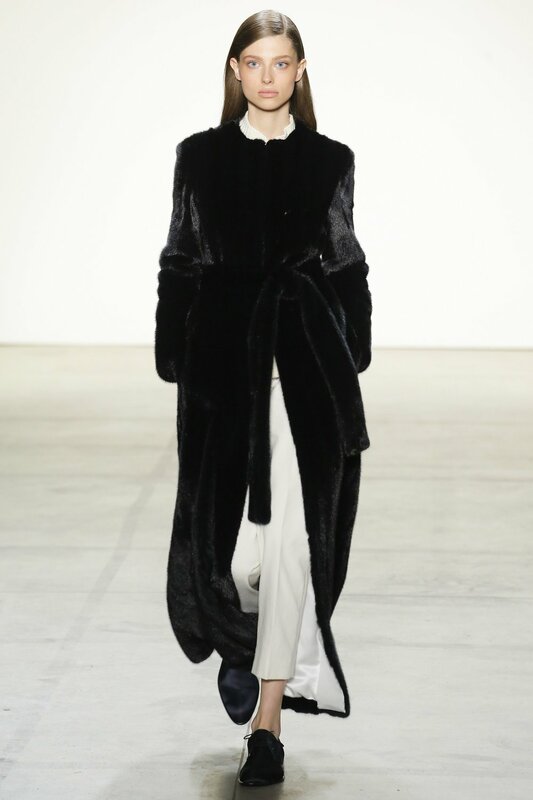 It was exactly what we needed, and for a moment I admit I forgot about Céline. I have a feeling that with a Phoebe-free era in our future (I'm still in mourning), Philophiles will quickly become The Row girls. 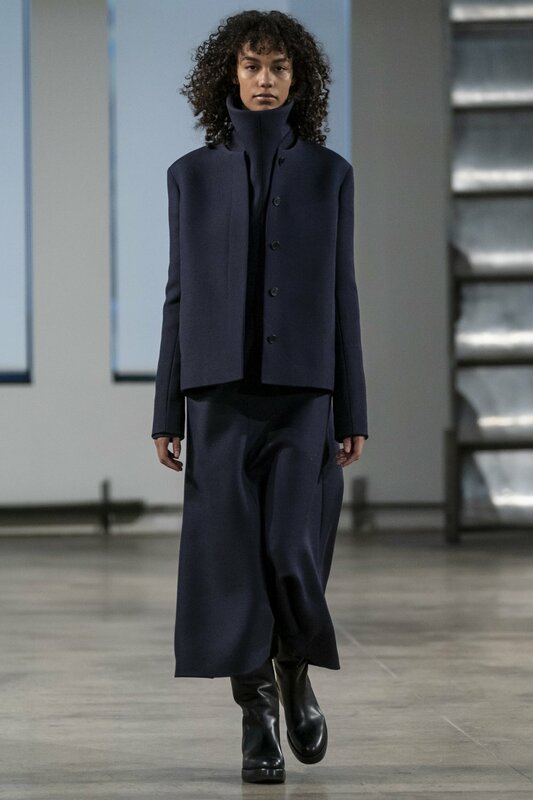 Fashion month is half over, and while I'm always a little behind on the shows, I like to take the time to fully catch up and save all of my favorite looks to reference next season. Years back I was big into show-going and running around the city, but nowadays with the conveniences of social media it's much easier to watch my Instagram feed update, and take in the collections from a more digital glance. 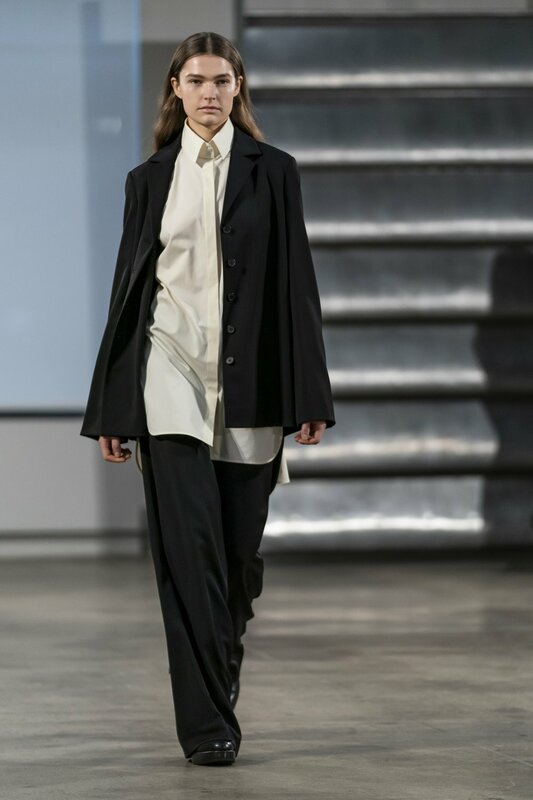 I've rounded up my top favorite ready-to-wear looks (emphasis on wearable) from New York and London thus far. 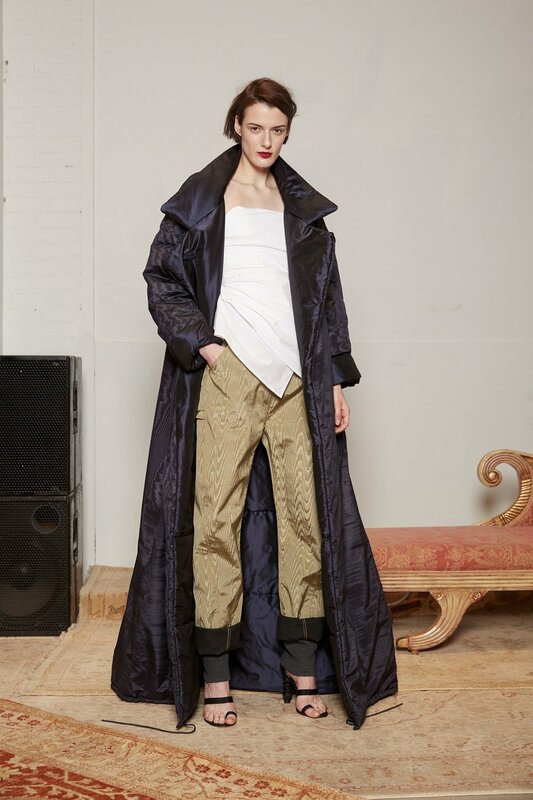 It's hard to pick just one look per collection from newcomers like Khaite, Brock Collection and Trademark (though, now only focusing on accessories), who continue to leave me wanting more. 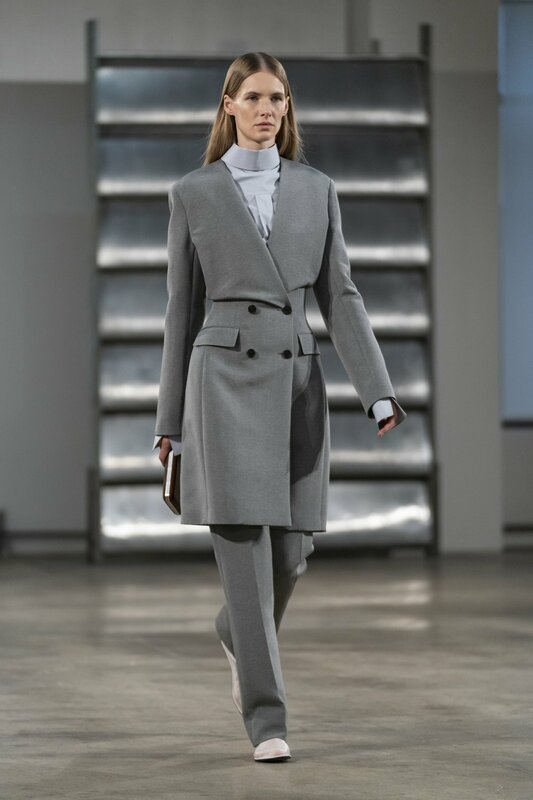 To sum up my mood palette for FW17, think grown-up (yet grounded) sophisticate, more cherished basics (and less essentials), understated neutrals like 'vanilla' and 'tobacco,' and anything but basic 9-to-5 tailored separates. And can we talk about those serious, exaggerated side-parts? I'm on board right now.